"Every nation gets the government it deserves." This can also be said of animated feature films. The Emoji Movie is cynical, formulaic, dim-witted, cliched and generally terrible. It was recently awarded "Worst Movie" at this year's Razzie Awards. And yet, it still managed to earn $200 million at the box office and earn a "B" grade from audiences. Yes, those are poor numbers compared to most animated features. Compared to, say, the Studio Ghibli movies, well...Hayao Miyazaki's last feature, The Wind Rises, earned a paltry $5 million dollars in US theaters. A two-time Academy Award winner and animation legend couldn't pull in more than The Emoji Movie made at the popcorn stand. Just look at that screenshot. Even those stupid smiley faces are depressed about being in this dumb cartoon. They're probably a little shocked at the critical drubbing they've received as well. Let's be completely honest here. 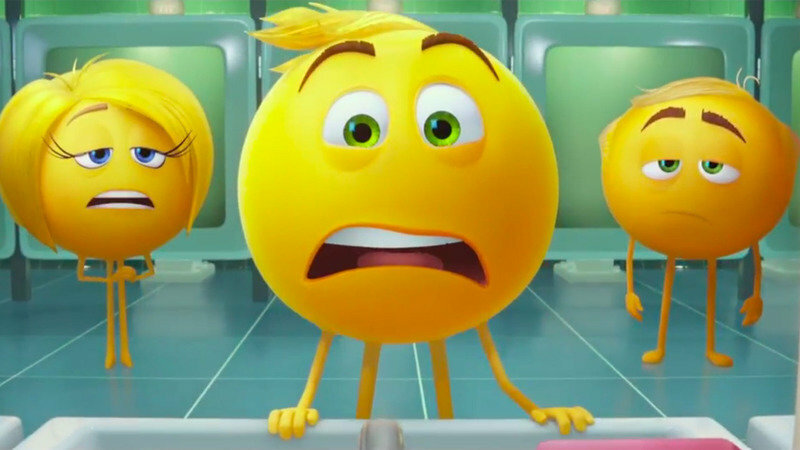 The Emoji Movie isn't really any worse than most animated features to come through the studio system in recent years. The plot, the characters, the casting, the pop culture riffs, the loud action scenes, the "pweachy mowal wesson", the formulaic happy ending -- it's all the same. Oh, and were you aware that Masaaki Yuasa's visual masterpiece Mind Game is playing in select US theaters? It's box office return so far: $7,586.00. That's not a typo. If you want better movies, then you're going to have to support better movies. Better options are readily available, but only if you bother to show up. If you choose instead to sit on your hands and stay home, only going out to sleepwalk into the latest formulaic animated cartoon that's identical to the last twenty animated cartoons...well, don't be surprised if "Emoji Movie 2" gets the green light. Expect to see the teaser trailer at the beginning of "Angry Birds Movie 2".